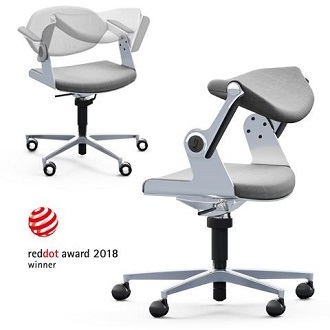 The sit-stand K+N BALANCE.CHAIR for active working has won the Red Dot Design Award in the Office category. The patented design allows the transformation in next to no time from an office task chair into an effective standing support. The K+N BALANCE.CHAIR displays its strengths as a multi-talent for agile working and active meetings. 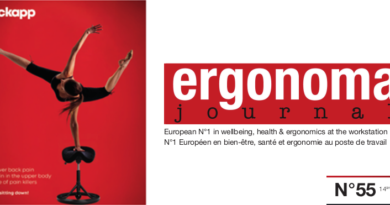 Innovative working models call for creativity and flexibility. And they encourage more personal freedom in daily routine planning!